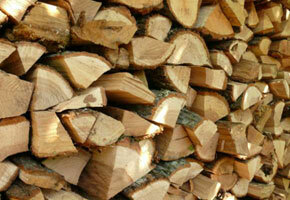 At our private lot we keep hardwood only that is split and seasoned for about 6 months. Lots of the trees we remove are already dead, so the tree has already started drying out and will be great for firewood. The majority of the wood is oak, maple, birch and some fruit trees. We deliver free up to 10 miles. We usually sell out before winter, so supplies are limited. Call early and we suggest getting more than one at a time! 30762 W 8 Mile Rd. Thank you for choosing True Cut Tree Care! True Cut Tree Care is a second generation arborist owned tree service, that services the communities throughout Oakland and Wayne county. Learn more. Are you satisfied with the work performed by our tree service company? Removing some large limbs over house.